For other uses, see Prototype (disambiguation). The word prototype derives from the Greek πρωτότυπον prototypon, "primitive form", neutral of πρωτότυπος prototypos, "original, primitive", from πρῶτος protos, "first" and τύπος typos, "impression". A Proof-of-Principle Prototype serves to verify some key functional aspects of the intended design, but usually does not have all the functionality of the final product. A Working Prototype represents all or nearly all of the functionality of the final product. A Visual Prototype represents the size and appearance, but not the functionality, of the intended design. A Form Study Prototype is a preliminary type of visual prototype in which the geometric features of a design are emphasized, with less concern for color, texture, or other aspects of the final appearance. A User Experience Prototype represents enough of the appearance and function of the product that it can be used for user research. A Functional Prototype captures both function and appearance of the intended design, though it may be created with different techniques and even different scale from final design. A Paper Prototype is a printed or hand-drawn representation of the user interface of a software product. Such prototypes are commonly used for early testing of a software design, and can be part of a software walkthrough to confirm design decisions before more costly levels of design effort are expended. Material: The materials that will be used in a final product may be expensive or difficult to fabricate, so prototypes may be made from different materials than the final product. In some cases, the final production materials may still be undergoing development themselves and not yet available for use in a prototype. Process: Mass-production processes are often unsuitable for making a small number of parts, so prototypes may be made using different fabrication processes than the final product. For example, a final product that will be made by plastic injection molding will require expensive custom tooling, so a prototype for this product may be fabricated by machining or stereolithography instead. Differences in fabrication process may lead to differences in the appearance of the prototype as compared to the final product. Verification: The final product may be subject to a number of quality assurance tests to verify conformance with drawings or specifications. These tests may involve custom inspection fixtures, statistical sampling methods, and other techniques appropriate for ongoing production of a large quantity of the final product. Prototypes are generally made with much closer individual inspection and the assumption that some adjustment or rework will be part of the fabrication process. Prototypes may also be exempted from some requirements that will apply to the final product. Engineers and prototype specialists attempt to minimize the impact of these differences on the intended role for the prototype. For example, if a visual prototype is not able to use the same materials as the final product, they will attempt to substitute materials with properties that closely simulate the intended final materials. Engineers and prototyping specialists seek to understand the limitations of prototypes to exactly simulate the characteristics of their intended design. It is important to realize that by their very definition, prototypes will represent some compromise from the final production design. Due to differences in materials, processes and design fidelity, it is possible that a prototype may fail to perform acceptably whereas the production design may have been sound. A counter-intuitive idea is that prototypes may actually perform acceptably whereas the production design may be flawed since prototyping materials and processes may occasionally outperform their production counterparts. In general, it can be expected that individual prototype costs will be substantially greater than the final production costs due to inefficiencies in materials and processes. Prototypes are also used to revise the design for the purposes of reducing costs through optimization and refinement. It is possible to use prototype testing to reduce the risk that a design may not perform as intended, however prototypes generally cannot eliminate all risk. There are pragmatic and practical limitations to the ability of a prototype to match the intended final performance of the product and some allowances and engineering judgement are often required before moving forward with a production design. Building the full design is often expensive and can be time-consuming, especially when repeated several times—building the full design, figuring out what the problems are and how to solve them, then building another full design. As an alternative, rapid prototyping or rapid application development techniques are used for the initial prototypes, which implement part, but not all, of the complete design. This allows designers and manufacturers to rapidly and inexpensively test the parts of the design that are most likely to have problems, solve those problems, and then build the full design. This counter-intuitive idea—that the quickest way to build something is, first to build something else—is shared by scaffolding and the telescope rule. In technology research, a technology demonstrator is a prototype serving as proof-of-concept and demonstration model for a new technology or future product, proving its viability and illustrating conceivable applications. In large development projects, a testbed is a platform and prototype development environment for rigorous experimentation and testing of new technologies, components, scientific theories and computational tools. With recent advances in computer modeling it is becoming practical to eliminate the creation of a physical prototype (except possibly at greatly reduced scales for promotional purposes), instead modeling all aspects of the final product as a computer model. An example of such a development can be seen in Boeing 787 Dreamliner, in which the first full sized physical realization is made on the series production line. Computer modeling is now being extensively used in automotive design, both for form (in the styling and aerodynamics of the vehicle) and in function—especially for improving vehicle crashworthiness and in weight reduction to improve mileage. 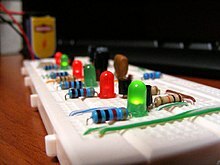 An electronics designer often builds the first prototype from breadboard or stripboard or perfboard, typically using "DIP" packages. However, more and more often the first functional prototype is built on a "prototype PCB" almost identical to the production PCB, as PCB manufacturing prices fall and as many components are not available in DIP packages, but only available in SMT packages optimized for placing on a PCB. Builders of military machines and aviation prefer the terms "experimental" and "service test". 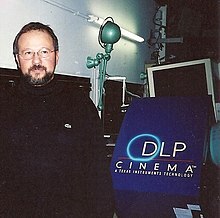 Example of prototype in optoelectronics (Texas Instruments, DLP Cinema Prototype System). In electronics, prototyping means building an actual circuit to a theoretical design to verify that it works, and to provide a physical platform for debugging it if it does not. The prototype is often constructed using techniques such as wire wrapping or using veroboard or breadboard, with the result being a circuit that is electrically identical to the design but not physically identical to the final product. Open-source tools like Fritzing exist to document electronic prototypes (especially the breadboard-based ones) and move toward physical production. Prototyping platforms such as Arduino also simplify the task of programming and interacting with a microcontroller. The developer can choose to deploy their invention as-is using the prototyping platform, or replace it with only the microcontroller chip and the circuitry that is relevant to their product. A technician can quickly build a prototype (and make additions and modifications) using these techniques, but for volume production it is much faster and usually cheaper to mass-produce custom printed circuit boards than to produce these other kinds of prototype boards. The proliferation of quick-turn PCB fabrication and assembly companies has enabled the concepts of rapid prototyping to be applied to electronic circuit design. It is now possible, even with the smallest passive components and largest fine-pitch packages, to have boards fabricated, assembled, and even tested in a matter of days. In many programming languages, a function prototype is the declaration of a subroutine or function (and should not be confused with software prototyping). This term is rather C/C++-specific; other terms for this notion are signature, type and interface. In prototype-based programming (a form of object-oriented programming), new objects are produced by cloning existing objects, which are called prototypes. Additionally, the term may refer to the prototype design pattern. Prototype software is often referred to as alpha grade, meaning it is the first version to run. Often only a few functions are implemented, the primary focus of the alpha is to have a functional base code on to which features may be added. Once alpha grade software has most of the required features integrated into it, it becomes beta software for testing of the entire software and to adjust the program to respond correctly during situations unforeseen during development. Often the end users may not be able to provide a complete set of application objectives, detailed input, processing, or output requirements in the initial stage. After the user evaluation, another prototype will be built based on feedback from users, and again the cycle returns to customer evaluation. The cycle starts by listening to the user, followed by building or revising a mock-up, and letting the user test the mock-up, then back. There is now a new generation of tools called Application Simulation Software which help quickly simulate application before their development. Extreme programming uses iterative design to gradually add one feature at a time to the initial prototype. Continuous learning approaches within organizations or businesses may also use the concept of business or process prototypes through software models. A data prototype is a form of functional or working prototype. The justification for its creation is usually a data migration, data integration or application implementation project and the raw materials used as input are an instance of all the relevant data which exists at the start of the project. A set of data cleansing and transformation rules which have been seen to produce data which is all fit for purpose. A dataset which is the result of those rules being applied to an instance of the relevant raw (source) data. To achieve this, a data architect uses a graphical interface to interactively develop and execute transformation and cleansing rules using raw data. The resultant data is then evaluated and the rules refined. Beyond the obvious visual checking of the data on-screen by the data architect, the usual evaluation and validation approaches are to use Data profiling software and then to insert the resultant data into a test version of the target application and trial its use. 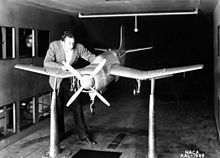 A scale model of an airplane in a wind tunnel for testing. In the field of scale modeling (which includes model railroading, vehicle modeling, airplane modeling, military modeling, etc. ), a prototype is the real-world basis or source for a scale model—such as the real EMD GP38-2 locomotive—which is the prototype of Athearn's (among other manufacturers) locomotive model. 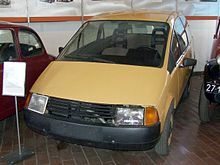 Technically, any non-living object can serve as a prototype for a model, including structures, equipment, and appliances, and so on, but generally prototypes have come to mean full-size real-world vehicles including automobiles (the prototype 1957 Chevy has spawned many models), military equipment (such as M4 Shermans, a favorite among US Military modelers), railroad equipment, motor trucks, motorcycles, and space-ships (real-world such as Apollo/Saturn Vs, or the ISS). As of 2014, basic rapid prototype machines (such as 3D printers) cost about $2,000, but larger and more precise machines can cost as much as $500,000. In the science and practice of metrology, a prototype is a human-made object that is used as the standard of measurement of some physical quantity to base all measurement of that physical quantity against. Sometimes this standard object is called an artifact. In the International System of Units (SI), the only prototype remaining in current use is the International Prototype Kilogram, a solid platinum-iridium cylinder kept at the Bureau International des Poids et Mesures (International Bureau of Weights and Measures) in Sèvres France (a suburb of Paris) that by definition is the mass of exactly one kilogram. Copies of this prototype are fashioned and issued to many nations to represent the national standard of the kilogram and are periodically compared to the Paris prototype. Until 1960, the meter was defined by a platinum-iridium prototype bar with two scratch marks on it (that were, by definition, spaced apart by one meter), the International Prototype Metre, and in 1983 the meter was redefined to be the distance in free space covered by light in 1/299,792,458 of a second (thus defining the speed of light to be 299,792,458 meters per second). It is widely believed that the kilogram prototype standard will be replaced. There are two likely replacements. One is a definition of the kilogram that will define another physical constant (likely either Planck's constant or the elementary charge) to a defined numerical value, thus obviating the need for the prototype and removing the possibility of the prototype (and thus the standard and definition of the kilogram) changing very slightly over the years because of loss or gain of atoms. The other definition is using a system that finds the amount of force needed to counteract the pull of earth's gravity on a one kilogram artifact. In many sciences, from pathology to taxonomy, prototype refers to a disease, species, etc. which sets a good example for the whole category. In Biology, prototype is the ancestral or primitive form of a species or other group; an archetype. For example, the Senegal bichir is regarded as the prototypes of its genus, Polypterus. ^ a b Blackwell, A. H.; Manar, E., eds. (2015). "Prototype". UXL Encyclopedia of Science (3rd ed.). Retrieved 13 July 2015. ^ Gero, John S. (1990-12-15). "Design Prototypes: A Knowledge Representation Schema for Design". AI Magazine. 11 (4): 26. ISSN 0738-4602. 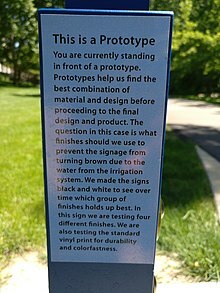 ^ "Prototyping Definition". PC Magazine. Retrieved 2012-05-03. ^ Marcelo M. Soares; Francesco Rebelo (15 August 2012). Advances in Usability Evaluation. CRC Press. p. 482. ISBN 978-1-4398-7025-9. ^ Harper, Douglas. "prototype (n.)". Online Etymology Dictionary. ^ Somiya, Shigeyuki, ed. (2013). Handbook of Advanced Ceramics: Materials, Applications, Processing, and Properties (2nd ed.). Academic Press. p. 491. ^ "Prototypes: General Categories". ThomasNet. Retrieved 13 July 2015. ^ "Prototyping". Brown University - User Experience, Independent Study Project. Retrieved 2015-02-24. ^ Gschwind, M.; Salapura, V.; Maurer, D. (April 2001). "FPGA prototyping of a RISC processor core for embedded applications". IEEE Transactions on Very Large Scale Integration (VLSI) Systems. 9 (2): 241–250. doi:10.1109/92.924027. ISSN 1063-8210. ^ Simon, Heilesen (2007-01-31). Designing for Networked Communications: Strategies and Development: Strategies and Development. Idea Group Inc (IGI). ISBN 9781599040714. ^ Willcox, Cornélis De Witt; Stuart, Edwin Roy (1918). International Military Digest. Cumulative digest corporation. ^ "PCB Rapid Prototype". www.wellpcb.com. WellPCB. Retrieved 2017-06-01. ^ Trevennor, Alan (2012-10-17). Practical AVR Microcontrollers: Games, Gadgets, and Home Automation with the Microcontroller Used in the Arduino. Apress. ISBN 9781430244462. ^ "5.5 Function Prototypes". HP. Retrieved 2012-05-03. ^ "Alpha Version Definition". PC Magazine. Retrieved 2012-05-03. ^ . HuffingtonPost.com. Huffington Post. Retrieved October 29, 2014. ^ prototype. CollinsDictionary.com. Collins English Dictionary - Complete & Unabridged 11th Edition. Retrieved December 07, 2012. 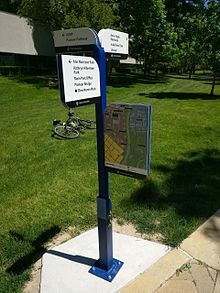 Look up prototype in Wiktionary, the free dictionary.